Having to put all of your collegiate accomplishments on one paper is daunting, and rightfully so. However, fear not, because the Technique recently sat down with Michael Laughter, the educational outreach communications manager at the Center for Career Discovery and Development (C2D2), to compile some key ways to make sure that your resume stands out. While it may seem unnecessary to make a resume before even thinking of applying for internships or jobs, doing so is vital to making sure yours is full and complete. “It amazes me that I still see students who show up their final year having never crafted a resume,” Laughter said. By starting early, you will have a base that can be easily updated as skills, experience and projects change. 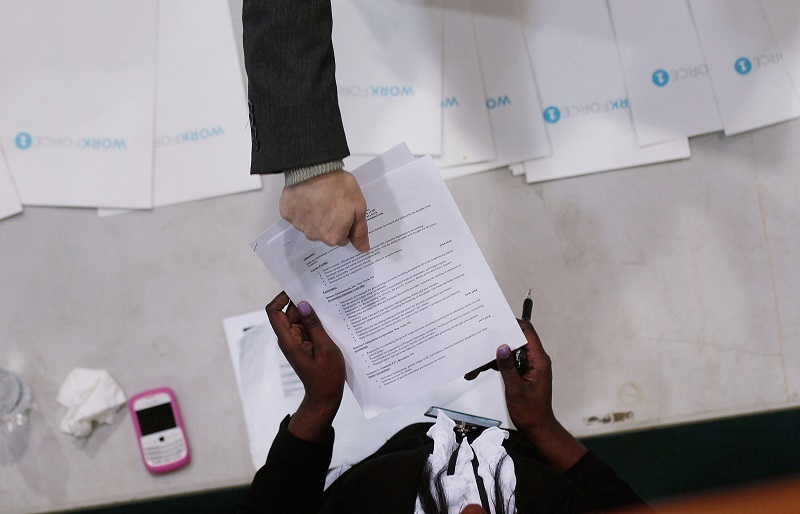 Every resume should have five sections: Education, Work Experience, Academic Projects and Skills. Be sure to order these sections so that after education, the strongest section is first. “When a resume is filled out in this manner, and has really good content in each of the five sections, a student can describe themselves according to their skills and not just their major,” Laughter explained. Even first-year students should have each section, supplementing collegiate experience with high school information. Students often do not realize the importance of this section. This is where you highlight the concepts you have learned in class, equipment and computer programs you’ve used and secondary skills. “At a glance the skills section shows me everything you’ve been exposed to and everything you’re capable of,” Laughter said. Moreover, this is a great way to include keywords in your resume that will show up when companies use keyword search. Academic projects show that you can implement the theory and concepts that you have learned in the classroom. “Often times, at a career fair, when you see a recruiter in an animated conversation with a student pointing to a resume, they are asking questions about the project section,” Laughter shared. Additionally, this section is a great way to share your passions and interests in the context of the academic work you have already done. You probably will not be able to fit every single thing you have accomplished or learned on your resume. Consider keeping a list of everything from which specific items that pertain to the particular job or internship to which you are applying. Not only with this keep your resume uncluttered and concise, but it will help tailor your resume to your particular audience. The resume is the first step in getting someone’s attention. It is important to include the specific concepts you have learned in classes and to share the specific experiences which may be important to a recruiter. Also, make sure to include any pertinent dates, locations and organizations for easy and quick reference by the reader. By including specific details, you can help your resume stand out. While making sure you have all of the facts is important, it is also necessary to make sure that your resume is not cluttered or hard to read. Keep your bullet points to one line and do not allow yourself to be wordy. Make sure that any formatting is neat and not excessive. Simplicity will make your qualifications easier to understand. The best way to ensure that your resume is complete and detailed is to update it anytime you acquire a new skill, gain more experience or have a change in any of the sections (often at the end of a semester). This ensures that none of your hard work falls by the wayside, and that recruiters have the most complete image of your talent. If you think you might need more help, be sure to schedule an appointment with the C2D2 office through CareerBuzz, or check out the resources available to you in your specific school. These resources can offer guidance specific to your case, and can help you craft a resume that is perfect for your situation. These steps will be able to confidently hand any recruiter your resume.